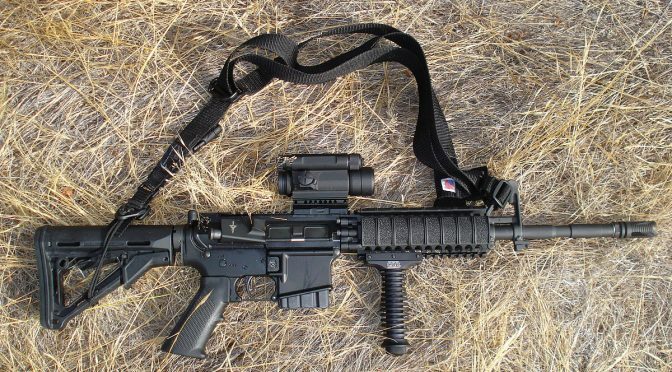 This is a sponsored post with www.ar-15lowerreceivers.com and you may see more of these sponsored posts in the future. That said, Prepper Broadcasting Network will always be transparent about these posts and they will not come without a degree of knowledge and benefit to the reader. Now you know that even a good Communist like the murdering chairman understands the importance of a firearm and how it can make us all more independent. That’s why there are so many conversations about taking them away. Its not about safety. How safe can you be with no gun when every scumbag criminal is gonna have an illegal one? This article is about better understanding ATF regulation and how it affects you, and what we need to fight for. There is a broad school of thought in the gun community that the ATF has an illegitimate role in regulating American firearms. They take the fact that the right to bear arms is not to be infringed as literal explanation of an inalienable right. Others perhaps can see the value of having some form of regulatory authority given the power of guns and the ample supply of living nuts in this nation. This article is making no attempt to jump into that debate. Rather, for the benefit of our readers we are simply acknowledging that the ATF does exist and for the short-term it seems that it is here to stay. So what does that mean for our fellow brothers and sisters of the pew? Let’s break down exactly what ATF regulations mean for gun owners. Specifically with the NFA, they state that anything with a barrel less than 16” long or a rifle with a total length of less than 26” is considered a short barrel rifle. Now, thanks to the 2nd amendment that doesn’t mean you can’t have one. However, it does mean you’ll have to jump through more hoops than a circus lion and pay more fees than you can imagine to pull it off. It is similar to the requirements the ATF puts around weapons that can fire more than one round per each pull of the trigger. That’s where we come in. We provide legally compliant solutions that meet ATF regulations and comply with the National Firearms Act. We do so not because we love or support the regulations but that they do exist and gun owners deserve an option to exercise their 2nd Amendment rights. So whether that is supporting you through an AR-15 pistol build kit that meets ATF regulations or just your standard AR 80% Lower we wholeheartedly support your right to pew. In fact, as you can see above we’ve even got something for you poor souls in California. We do encourage everyone to research they own state laws regarding firearms. We’ve got what it takes to get you hitting center mass with a legal firearm, but we are not lawyers who can give you legal advice. Yet, we stand behind every product we put out and we are confident to do so with the ATF standing right over our shoulders. That’s one of the beauties of our most popular product the 80% lower. Until you finish the product with a quality jig kit, the ATF considers it a big useless hunk of metal. Love or hate the ATF, it is here to stay. Thankfully, for our beloved community we will be here to stay as well keeping you legal and ready to pew. Next: Next post: Can Preppers Influence Culture?